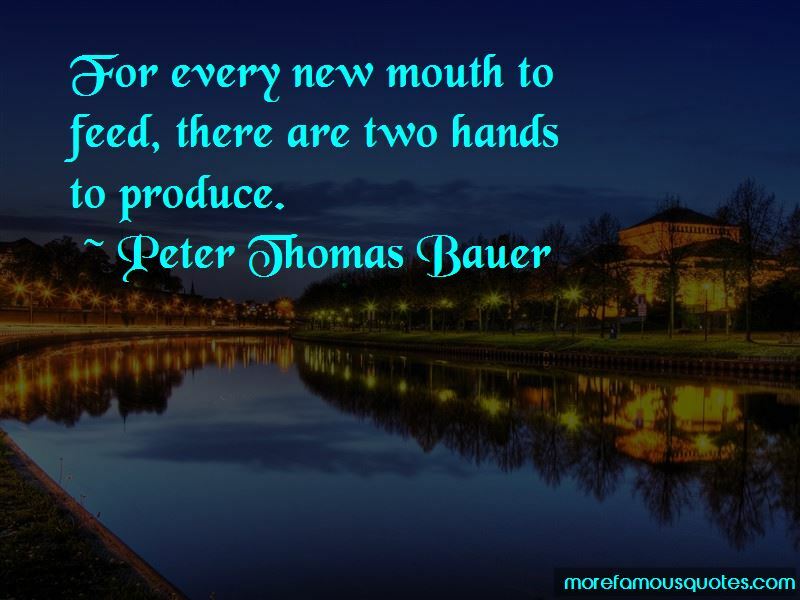 Enjoy the top 4 famous quotes, sayings and quotations by Peter Thomas Bauer. 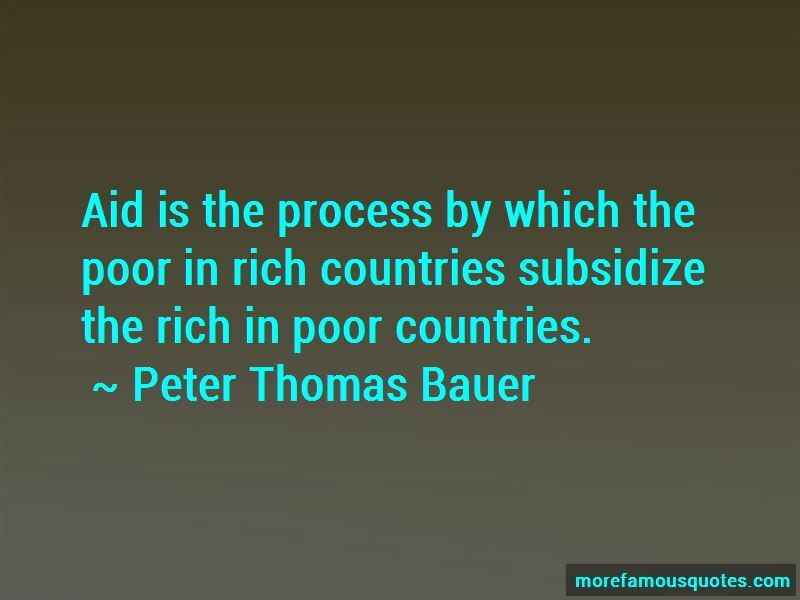 Aid is the process by which the poor in rich countries subsidize the rich in poor countries. 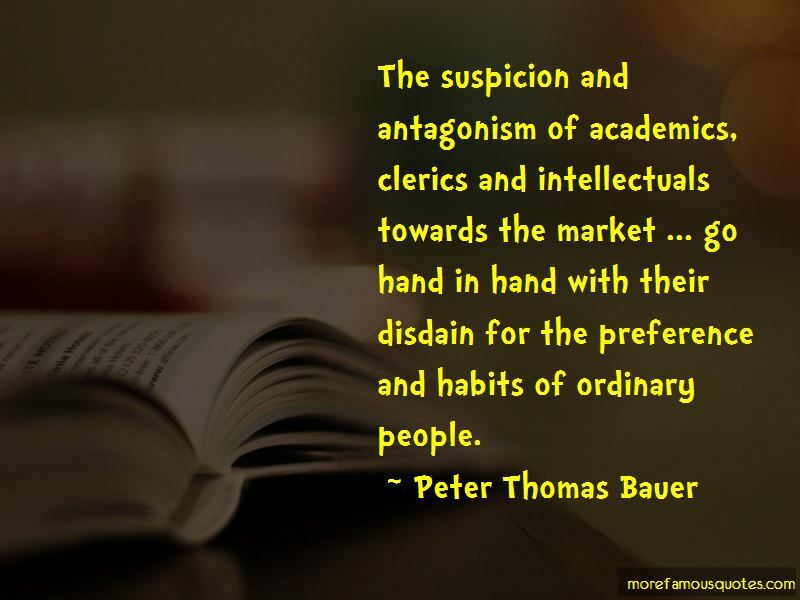 The suspicion and antagonism of academics, clerics and intellectuals towards the market ... go hand in hand with their disdain for the preference and habits of ordinary people. Want to see more pictures of Peter Thomas Bauer quotes? 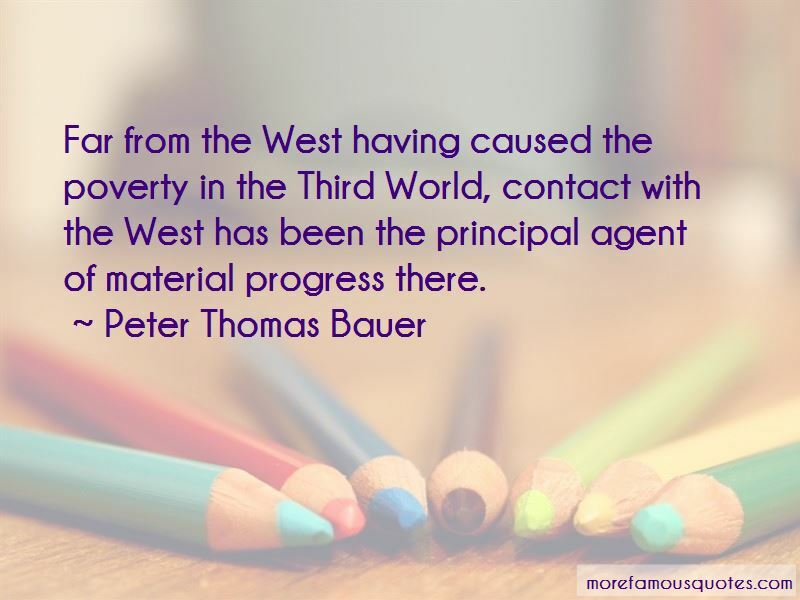 Click on image of Peter Thomas Bauer quotes to view full size.